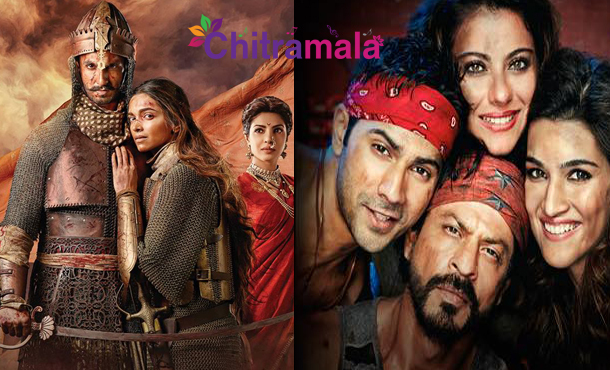 Shah Rukh Khan’s ‘Dilwale’and Sanjay Leela Bhansali’s magnum opus ‘Bajirao Mastani’ are not only in headlines for the epic clash but also for the protests against their releases. At many parts of North India, BJP activists are protesting against the release of Dilwale for the actor’s recent comments on rising intolerance in India. Even MNS outfits are protesting as the actor donated Rs 1 Crore to Chennai flood victims but didn’t even care about the plight of Maharashtra farmers. On the other hand, Bajirao Matsnai turned controversial as many feel that the history is convoluted and distorted by director Sanjay Leela Bhansali in the name of cinematic liberty. Main protests are seen in Pune as the story is based on Maratha king Bajirao.